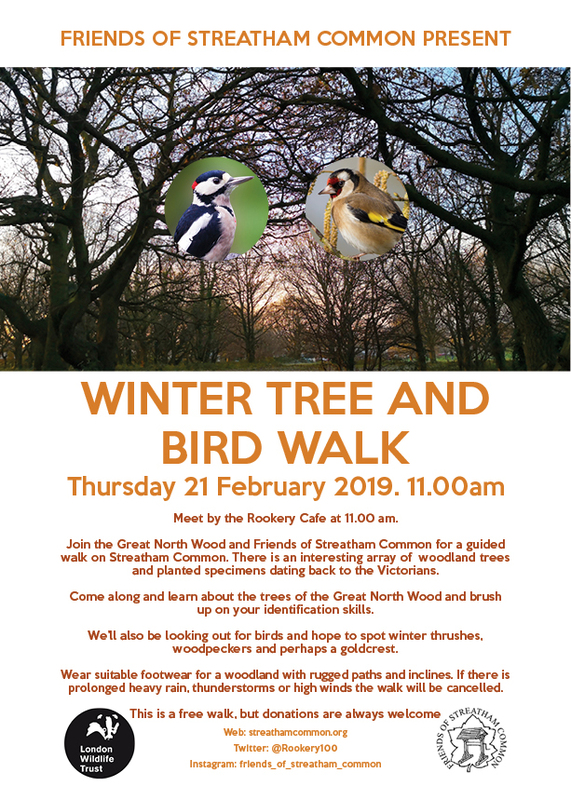 Join the Great North Wood and Friends of Streatham Common for a guided walk on Streatham Common. There is an interesting array of woodland trees and planted specimens dating back to the Victorians. Come along and learn about the trees of the Great North Wood and brush up on your identification skills. We’ll also be looking out for birds and hope to spot winter thrushes, woodpeckers and perhaps a goldcrest. Wear suitable footwear for a woodland with rugged paths and inclines. If there is prolonged heavy rain, thunderstorms or high winds the walk will be cancelled.